I built a teardrop camper for my recumbent trike. It weighs 65 lbs. I built the trailer with 1x2s and thin plywood. The sides are made of coroplast. Last edited by doris s. on Tue Dec 05, 2017 8:23 pm, edited 1 time in total. That is pretty neat little trailer. Thanks, it was fun to build. That is so slick! Good work! I take it that there is somewhere nearby that you can cycle to and camp? Yes, I'm going to cycle and camp on the C&O canal. It's not far from where I live. Lots of camping on the Potomac River. What are th e floor dimensions? The floor dimensions are 40" wide overall but the sleeping area is 30" wide because of the wheel wells. The length is 6' 2". I am 6' so I sized it for me. The side walls at the tallest point is 42" I wanted to be able to sit up inside. Mine's a bit smaller; nicely done. Greg, That's a wonderful trailer! I love it. How did you join the pieces of coroplast? 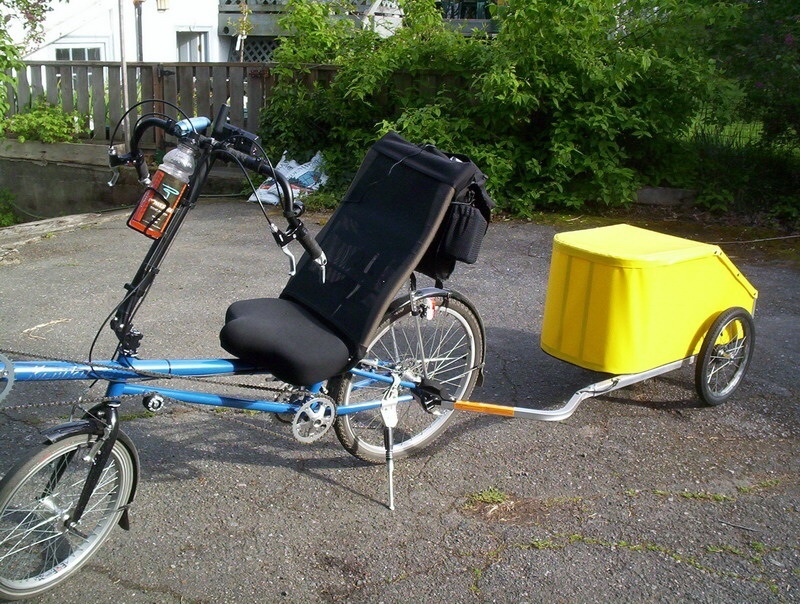 I made a tail box for my recumbent bike from coroplast and learned that I could not glue it. I used nylon wire ties and covered it all with white plastic tape. I used zip ties and then duck tape over the edges to join the pieces of coroplast. It works pretty well.